It is with profound sadness that we announce the passing of Hattie L. Martin on Jan 18,2018 in Washington, DC. Hattie was born in Fort Dodge, IA, and resided in the Quad-Cities for over 50 years and remained active in the community up until the time of her passing. She worked at the Rock Island Arsenal for more than 30 years as director of personnel, until her retirement in 1993. She especially enjoyed helping underprivileged students secure summer internships, which for many led to careers in the government. She was a member of the board of directors for the local American Red Cross and the Housing Commission (the only African American woman to ever hold that positon). 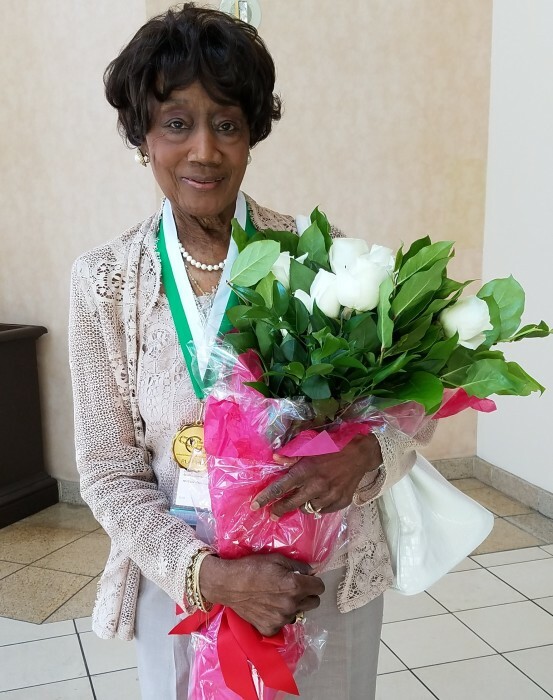 She also chartered chapters of the Heritage Club, Just Good Friends, Jack and Jill, and the Quad-City chapter of the Links, Incorporated, where she was a platinum member. Her deep faith lead her to become a Bible Study Fellowship leader where she enjoyed sharing and teaching the gospel to willing students and friends. She was also an active member of two churches: Gaines Chapel AME (E. Moline, IL) and Bethel AME (Davenport, IA). A devoted wife to the late Dr. Thornton Martin, and mother to Dr. Nicholette Martin (of Washington, DC), Hattie always lived life to the fullest by walking everyday with the Lord. She leaves behind a daughter, many nieces, nephews and friends. The wake will be held on January 25 at Gaines Chapel AME Church, 311- 19th St East Moline, IL from 5pm-7pm. Viewing will be January 26 at 9:30 am with services to follow at 10:00am, also at Gaines Chapel. Interment will be at the National Cemetery, Rock Island Arsenal .